The worlds of Ubisoft’s most popular multiplayer shooters, Rainbow Six Siege and Ghost Recon Wildlands, are crossing over. This crossover comes in the form of Operation Archangel, a new mission that is being introduced as part of Wildlands‘ Special Operation 2. This is the second in a series of updates to the game, being made for year two of post-launch content. Starting tomorrow, players will be able to access Rainbow Six Siege content in both the main Wildlands campaign, as well as the Ghost War PvP mode. Two new classes are being introduced, along with Operation Archangel, a two-part PvE mission. The mission is playable with up to four players, and will be located in the province of Caimanes. If players can beat Operation Archangel before August 14, they’ll earn the Caveira gloves. These will give players access to Caviera’s CQC move, and automatically unlock all enemy positions in the area. Players will also be able to get their hands on the Rainbow Six Gear Pack, which includes items such as Caveira’s Luison handgun, HK 416 assault rifle, head-wrapped shemagh (inspired by Valkyrie), and a skill balaclava (inspired by Twitch). The two new classes are Toxic and Surgeon, both inspired by Smoke and Doc respectively from Rainbow Siege. Toxic uses a drone to lay a cloud of toxic smoke, which traps enemies and creates area denials. Surgeon can revive teammates from afar with a stim pistol. 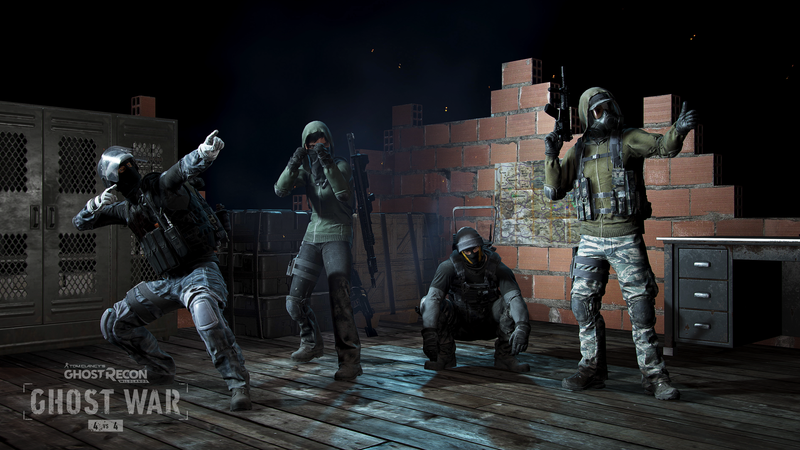 The update also brings two new maps (Factory and Checkpoint), a new spectator feature called Observer, and Ghost mode, which is a high-difficulty, permadeath PvE mode. This update, along with the other planned updates, will continue to add similar content, featuring unique themes. These updates will bring new playable content and rewards, along with new features. And, of course, they will remain free.